Kelley Armstrong’s The Ungrateful Dead: Solid story. Joe R. Lansdale’s Mr. Bear: I’ve never read anything by this author before, but this story is head-and-shoulders above the rest in this collection. You know how Brian Griffin is a dog with a lot of human traits? The bear in this short is also rather human, an ex-icon of sorts just wanting a friend. He meets human Jim on a plane, and the trouble starts there. And unlike the rest of the stories here, this one actually had something frightening: the threat of a “weenie pull”. It goes to show that so-called “horror” is really just a distraction from the true horrors of real life. But this is one cracker of a read. Christopher Welch’s The Eldritch Pastiche from Beyond the Shadow of Horror: I think I’m the only person reading this without having read Lovecraft previously. Matt Venne’s Elvis Presley and the Bloodsucker Blues: I was too distracted pondering the legalities of using a real (though deceased) person as a character, but giving him an alternate history…as a vampire. Mark Onspaugh’s Old School: Only three pages of story, whilst most others wrote at least twenty. Reckon they were paid according to word count, or a set amount per story? J. A. Konrath and F. Paul Wilson’s The Sound of Blunder: Was going great until the horror element kicked in. Charlaine Harris’s An Evening with Al Gore: Only got good when the horror element kicked in. 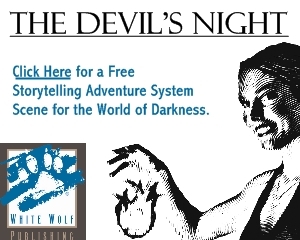 D. L. Snell’s Love Seat Solitaire: Guess who wants to play Street Fighter with you. Jeff Strand’s The Bell…FROM HELL!!! : Yes, the title’s really written like that. Jim Butcher’s Day Off: Solid story. 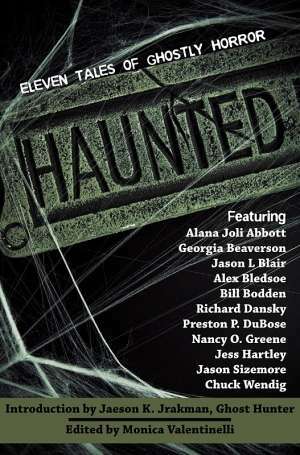 Look for more horror anthologies at DriveThruHorror.com.